A common problem in many homes, hard water contains a high amount of minerals -- such as calcium -- that will quickly begin to build up on shower tiles. These deposits will cause shower tiles to appear dull and dingy. Normal cleaners do little to dissolve the calcium deposits and all-purpose cleaners do not even scratch the surface of the hard water stains. However, hope is not lost and you can remove the calcium buildup from the shower tiles with the right cleaning solution. Showers can quickly turn grimy with mold, mildew, soap scum and hard water deposits. Rinse the surface debris off the shower tiles with water. 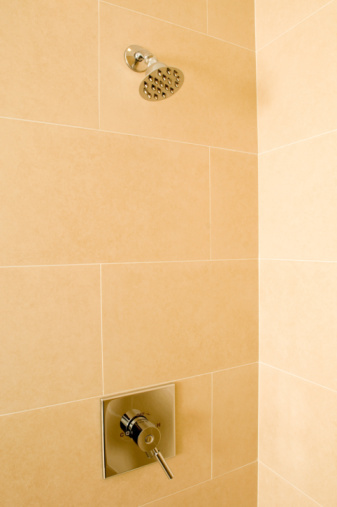 Mist the shower tiles with pure, undiluted white vinegar. Let the white vinegar sit on the calcium deposits for 15 minutes. Scrub the deposits of the shower tile with a sponge. Reapply the white vinegar and let sit for an addition 15 minutes if the calcium remains. Saturate a toothbrush in the white vinegar and scrub hard-to-remove calcium deposits vigorously. Saturate any remaining calcium deposits with water-displacing spray. 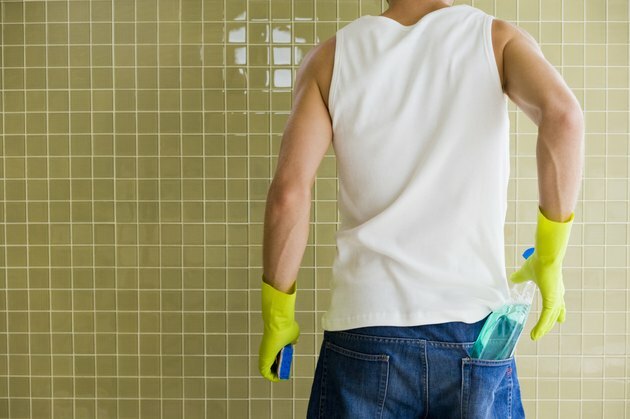 Scrub the calcium off the tiles with a nylon scrubber. Rinse the shower tiles clean with cool water and wipe dry with a soft towel. Dry the tiles after each use to help prevent future calcium build up.